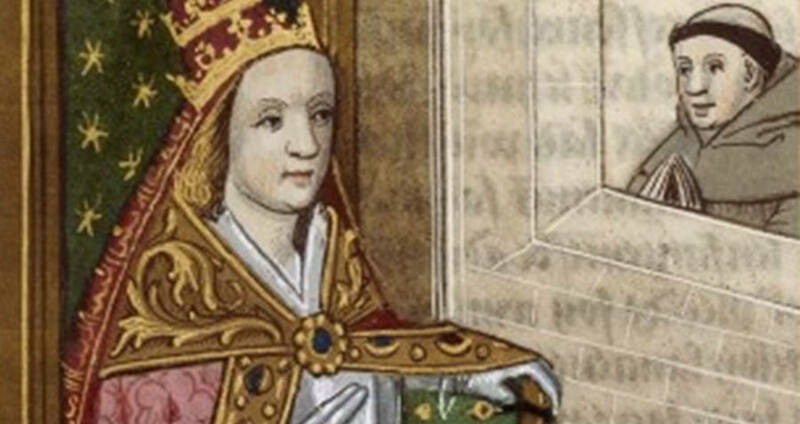 A French illustration of Pope Joan. 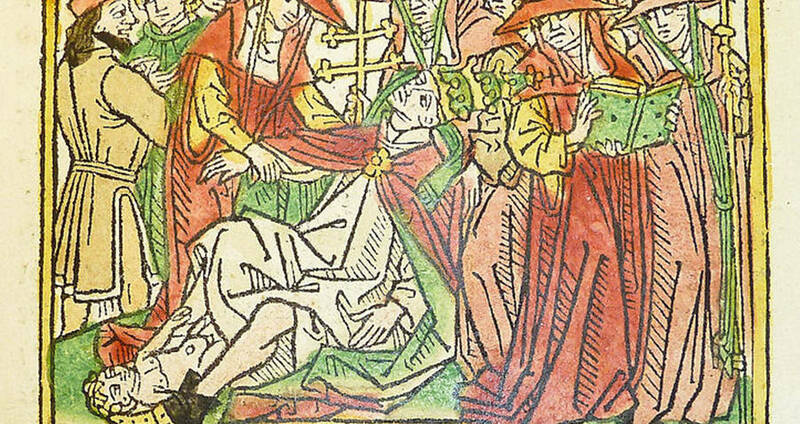 An illustration of Joan giving birth during the procession. 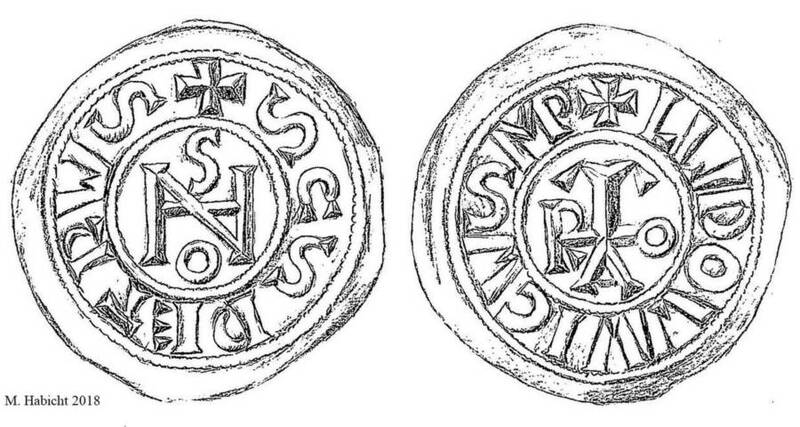 An illustration of the analyzed coins, revealing the monogram.